Just announced. More info on DCRainmakers Page. Design looks interesting, very Suunto-esque, hopefully the software won't be as buggy. Yep, looks like a suunto cousin. Waiting for the full review. Most prob will sell off my Fenix 2 SE for Fenix 3 too. I'm ok with 1 year cycle, just nice. Not sure when it will hit the shoes of SG. Dang.. steep price.... Really want that watch. I will keep an eye on the garmin forums to see user feedback as well as DCR indepth review. I find its still usable albeit a bit siened when get weird errors or inaccurate GPS. So far my experience have been fairly tame. Reading the forums... nightmare... Lots of people are dissatisfied. I guess the previous gens were really awesome. but then again maybe they forgot Garmin products all become awesome after many iterations of patches and bug fixes! That goes for 910 as well. Garmin products become awesome after their initial phrase. Just need to hang on awhile. From the forum early posts, seem that the accuracy is not bad. The route was also without GLONASS activated it seems. Man... want the sapphire but honestly the design not as nice as the gray. vs US pricing of 599 USD and 549 USD? Then the grey/ silver with HRM is most hua... the sapphire so bo hua after conversion? It comes with hrm , thus the higher price on the above website I belive. 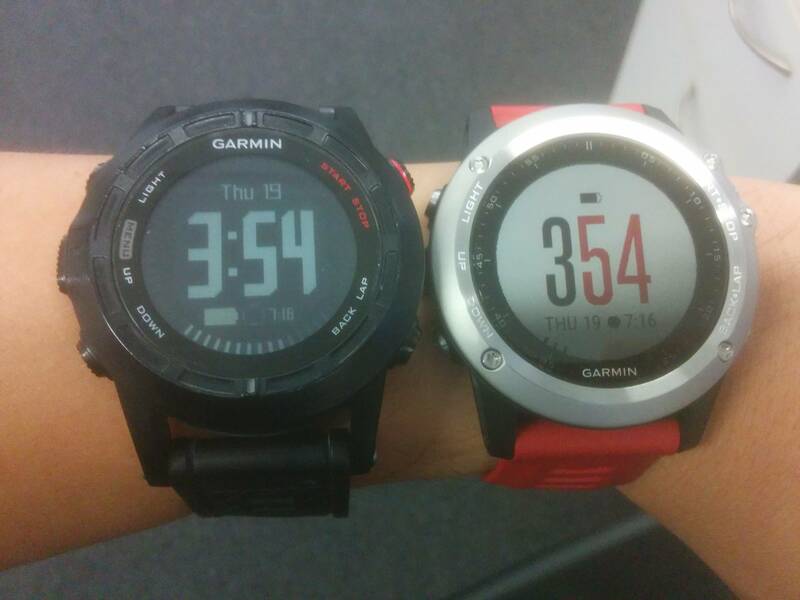 I think garmin sg will release during IT expo this month. I planning to get it, but still considering between sapphire or grey. Ok.. so it is just a ploy to sell more HRM run units by allbright. But then again if about 21 USD more get a spare HRM unit seems quite good deal. Noice... I think at the end I will go with grey... the watch face is pleasant. The sapphire... weight is quite an issue for metal so will be using rubber strap. Though the glass is the better choice. I hate the watch face though.. with two markings per second... CANT UNSEE NOW after reading in review. Pledged myself to a grey one, the most costly gear ever. Running really getting expensive now. And, thanks for the link. GarminSG Facebook just released the selling price in singapore. retailers should receive their set this week or next week i guess? Allbright seem chop carrot head de. 30 dollar more ex for sapphire bundle and 40 more for gray/ silver bundle. OK.. i might go buy from the expo ... or from another distro. They will launch it officially at the IT Show next week. The free gift, a towel. The free gift, a tower. I told them I dont want the towel. They gave me a garmin reusable "shopping bag" instead. My first impression of Fenix 3 versus Fenix 2. I have been using Fenix 2 close to one year on day to day basis. Features: F3 also has connectIQ so it is possible to change/ add more widgets, apps/ activities and data fields. F3 also has activity tracking for number of steps and also sleep feature (? not sure how to use). Need to manually trigger sleep. Screen: By far the color e-ink is great for F3. Especially when you crank up the frontlight, the visibility is amazing. The F2 white on black takes some getting used to especially under bright light or without using the backlight. Charging cradle: The F3 has easier to manipulate and looks more stable i.e. press to fit in vs F2's pull and fit watch in. F3 should be easier to fit for charging on the go. Satellite acquisition: Very significant difference. F3 almost instant lock even among tall buildings. F2 need clear view of sky and take 1 / 2 minutes after that for lock. 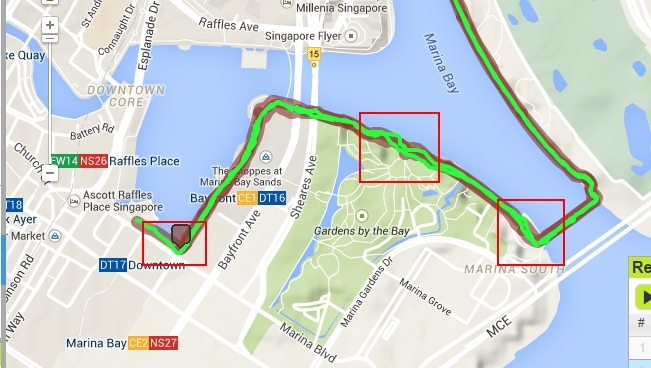 F2 has very detailed satellite map and accuracy which is missing in F3. Run Activity: F3 lap has lap time and total time vs F2 only lap time. The F2 time elapsed does not show seconds when activity >1 hr as opposed to F3 which does. The summary screen for F2 shows summary and lap together but F3 to be accessed separately. Hope they bring back the bottom left long press to access shortcut. Cant find how to change per sec ultratrac recording on F3. Gonna try to check further. Auto sleep for activity tracking. 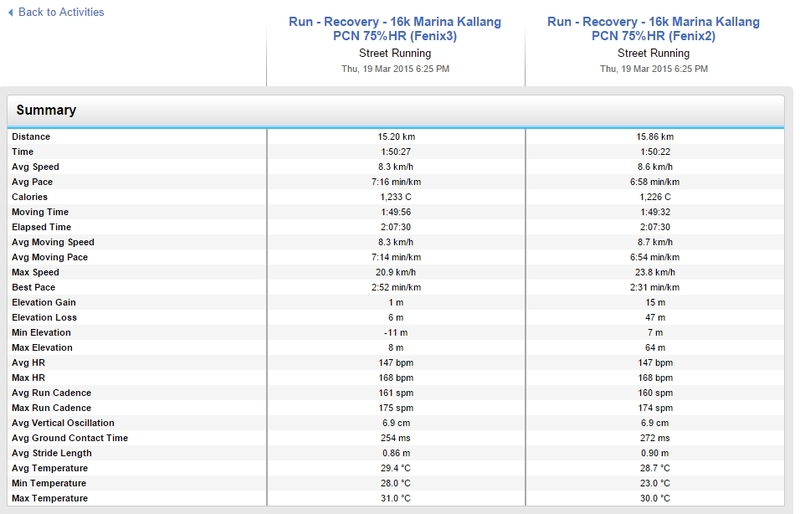 I managed to pair both with same HRM and use the Running Dynamics. Both are at 1 sec interval and F3 is with GLONASS on. About 300 - 400 m difference occurred in some problem areas as follow. The rest is due to jagged F2 track in clear view of sky :S More inclined to trust F3. As usual, F2 suffers near building. good summary. Got mine yesterday, the watch looks too good for running! I got the silver version. Those who get the normal version, are you all going to get screen protector?